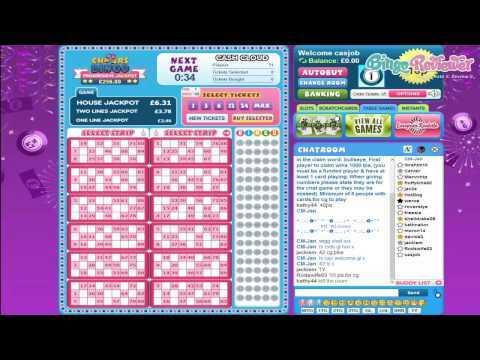 The name may sound familiar but is not to be confused with any other online Bingo site with a similar name. Cheers Bingo stands in a class all its own in more ways than one. Visiting the site for the very first time will lure you in with a merriment atmosphere that simply can’t be denied. The look and feel is, well just plain happy! Games are powered by Bingo Vision and introduce the bingo community to exhilarating platform of products that will rejuvenate the player to succumb to tantalizing temptation. If you are looking for a new gaming experience you will find it all at Cheers Bingo. Secure banking, thoroughly tested gaming and a customer service who courteous puts this bingo site at the top of the list of favorites. Cheers Bingo is licensed to operate and regulated by the Alderney Gambling Control Commission. Players have the best of the best with two choices including 75 ball and 90 ball bingo. High rollers and low rollers alike can buy tickets that are right for their budget. Quick Buy and Auto Buy is available to purchase multiple games at one time. Your Chat host will entertain you with an array of Chat Games and award prizes to the winners. Play in more than one bingo room at one time and don’t miss out on your favorite bingo action. Inside each bingo room is Instant Games adding loads of fun to your bingo game with action for Slots, Blackjack, Roulette and Scratch Cards in the top right of your screen. These games are also located in the Bingo lobby with Slots ranging from 9 to 100 pay-lines. If variety is what you are after and offers for every day of the week then Cheers Bingo is your premium destination. Spin the Wheel is available to all new players to spin absolutely free when you make your first deposit including a Bonus cha-ching your bankroll. There is always something exciting every day of the week including Weekend Wad every Saturday and Sunday for a chance to win a share of 250,000 Points. Next Top Slots Squad is unique from standard Tournaments as players join as teams and compete for top cash prizes on Monday and Thursdays. Monday Madness is crazy because players waiting for 1TG could win more than the one line game and snare the Full House game instead! Refer a Friend is lucrative way to a Free cash bonus and at the same time play with all your bingo buddies. If you need a break from cooking Friday may just be the night to win a dinner in the Take Away offer and share the generous meal with your friends. This innovative site offers a unique blend of games combined with promotions that are one of a kind. With minimum deposits at only £5 it is definitely worth trying it out because seeing is believing. We rate this site with 4 Pink Hearts. I am always looking for new Bingo sites, and I have recently heard a great review for the Cheers Bingo, so I wanted to check it out for myself. The graphics look nice, and the site itself is modern, but I have seen something similar more than once (so no bonus points for original design). This site uses Jumpman gaming software, and I must say that I haven't seen a lot of those sites so far, but I do like what I see so far. All the games look refreshingly new, and I have enjoyed them immensely. The offer is all about 75 and 90 ball games, so if you like the classics, you will be on the right spot. I do however miss some of the newer version of my favorite game, and I hope they will get some new games soon. So far, everything else about this site is top notch. This is a great site to play at and is, in fact, one of my favorites! There are so many things to take advantage of when you play here and they don’t waste any time giving you a taste of their great bonuses. All new players will immediately start off with £20 free. That, in itself, is an incredible deal but that’s not where the deals end! In addition to this free cash, new players will also receive a free spin on the wheel. The free spin on the wheel allows players the chance to win an extra £5 to £2,500. All you have to do to gain access to these rewards is make a small deposit of £10 upon registration. They have 75 and 90 ball bingo available here. You can’t go wrong with these bingo options, especially when it comes to exciting coveralls and progressives. Don’t hesitate to take a look at their promotions frequently because they tend to offer quite a bit!